Obstructive sleep apnea (OSA) is a common condition that causes brief, repeated pauses in breathing throughout the night as you sleep. OSA is linked to several serious health problems, including heart disease, difficulties with thinking and memory, depression, car crashes, heart disease, stroke, and diabetes. Having OSA can also cause a decline in quality of life, and increase the risk of motor vehicle crashes. Until now, researchers have not explored on a national scale how many older adults may be at risk for OSA, or how often healthcare providers evaluate and treat the condition in older people. Recently, a team of researchers from the University of Michigan designed a first-of-its-kind study to answer those questions. 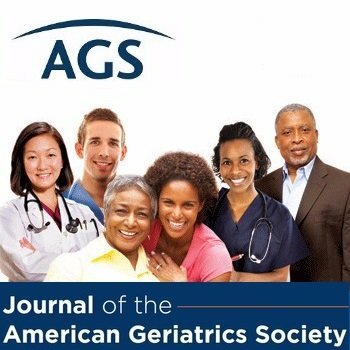 Their work was published in the Journal of the American Geriatrics Society. The researchers studied information from the National Health and Aging Trends Study (NHATS), a survey of Medicare beneficiaries that assesses the impact of aging on health and well-being. Funded by the National Institute on Aging, NHATS has conducted five annual face-to-face interviews in older adults’ homes since 2011. The NHATS research team has collected detailed information about participants’ health, physical and mental capabilities, living conditions, daily activities, and social support. In 2013, NHATS interviews also asked beneficiaries questions about sleep disturbances and symptoms of sleep apnea. Many of the NHATS sleep questions resembled questions from a common sleep apnea screening questionnaire known as the “STOP-Bang” questionnaire, which got its name from the symptoms it assesses: snoring, tiredness, observed apneas (pauses in breathing), high blood pressure, body mass index (BMI, a ratio of weight to height that assesses levels of under/overweight and obesity), age, neck circumference, and gender. Among the 1,052 older adults who participated in the NHATS sleep disturbance survey (a number which represents 7,082,963 beneficiaries in the Medicare population), 56 percent were considered at risk for OSA, based on the number of adapted STOP-Bang questions that participants endorsed. Despite the large number of older adults found to be at risk for OSA, only 8 percent had been evaluated for it with a sleep study (a test used to diagnose sleep apnea and other sleep disorders). Of those who did receive a sleep study, 94 percent were diagnosed with OSA, and 82 percent were prescribed treatment with positive airway pressure (PAP) equipment. PAP therapy is the primary treatment for OSA which, through a mask, blows air into the airway to help people keep their airways open as they sleep to reduce pauses in breathing. The researchers noted a sizeable gap between the number of older adults who are at higher risk for OSA, and the number of at-risk patients who received a sleep study to assess it. Although reasons for the gap require further exploration, the researchers said that this gap could represent a missed opportunity to identify and treat OSA in older Americans. This summary is from “Recognition and diagnosis of obstructive sleep apnea in older Americans.” It appears online ahead of print in the Journal of the American Geriatrics Society. The study authors are Tiffany J. Braley, MD, MS; Galit Levi Dunietz, PhD, MPH; Ronald D. Chervin, MD, MS; Lynda D. Lisabeth, PhD, MPH; Lesli E. Skolarus, MD, MS; and James F. Burke, MD, MS. This entry was posted in Health in Aging, JAGS Research Summaries, Prevention and tagged obstructive sleep apnea, sleep apnea, sleep study by HIA Guest Blog. Bookmark the permalink.